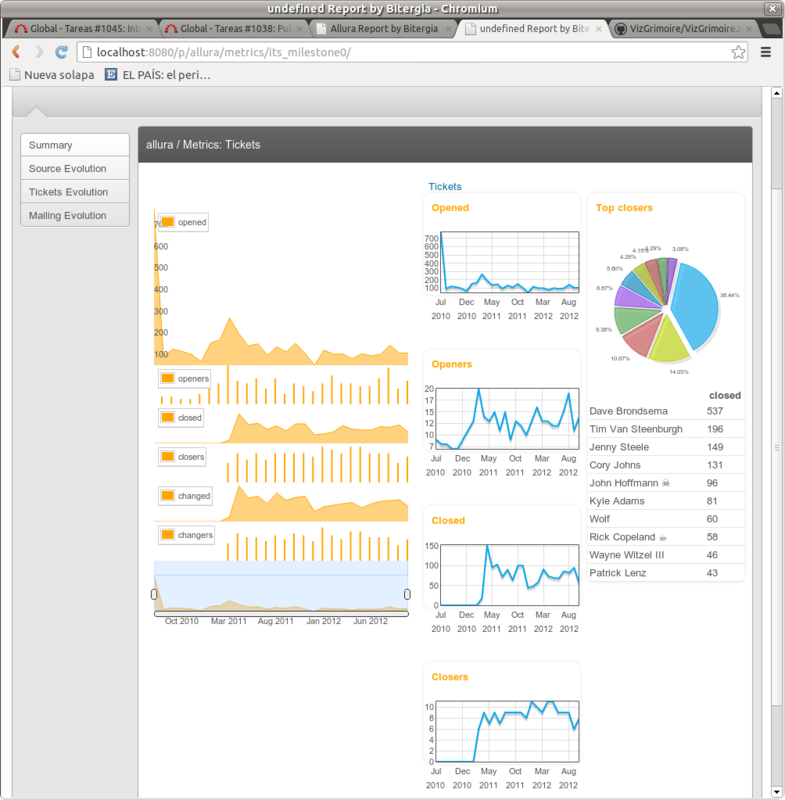 One of the business lines we have at Bitergia is the integration of project analytics with forges. And one of our first targets has been Allura, the free software forge that runs the new SourceForge. We’re finally proud to announce that the integration is finally ready and is fully functional. It will be improved with time, but you can already put it to work, if you happen to run Allura.